In 1921, Franklin Delano Roosevelt, who had just run for vice president and seemed to have the brightest future of anyone in America, contracted polio and became a cripple. This terrible curse seemed to come out of the sky one day while he was boating in Maine with his children, and it was a hard blow to a man for whom everything had so far come so easily. Fishing and drinking were two things Roosevelt excelled at and enjoyed very much. In the warm blue water, under the healing sun, he could stand on his own two feet, which was all he really wanted. He tried treatment after treatment in his quest to walk again, to no avail. 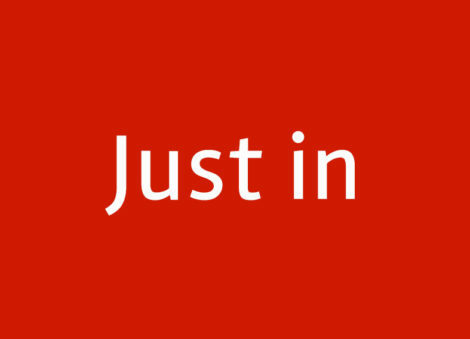 Finally, he gave up and re-entered public life and in the end saved capitalism, American society and Western Civilization, for which we are all properly grateful. The weighty themes that would occupy the last 20 years of Roosevelt’s life, along with the curious details of his personal and family life, are still in the future. The logbook of the houseboat Larooco records the number of fish caught, the difficulty of maneuver in shallow water, the balky engines and the weather, always the weather. Dinner guests are mentioned by name and cocktails are enumerated, but there is absolutely nothing of what was said at table. 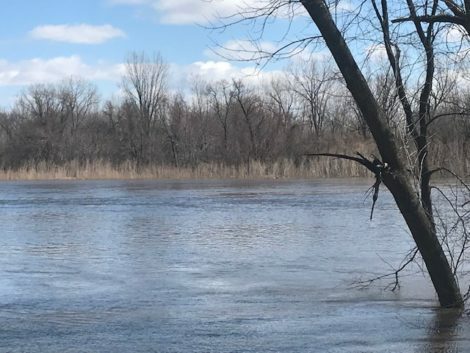 The wonderful thing about the land of fishing and drinking – while suffering from a debilitating condition — is that the world outside may tend to seem a rumor you can ignore. Chase allows that wider world to intrude, however, as a reminder, sprinkling the pages with pictures of Roosevelt’s contemporaries — of Lenin and Stalin, Hitler, Charlie Chaplin, Frida Kahlo, Gertrude Stein with Ernest Hemingway’s son, Hemingway, and Martha Graham, with captions describing what was not alluded to in the log. These photos provide a startling contrast to the insular entries in the log. After three of these magical winters, Roosevelt stepped back into the world, buying the Warm Springs resort in Georgia where he was convinced the waters were superior and beginning a foundation to help others afflicted with the dread disease. The March of Dimes he started with a radio address in 1938 financed the research that led to the vaccine that would eradicate the disease. Chase herself was among the last victims of polio in the early 1950s and President Roosevelt, who conquered polio even though he never walked again, understandably became a hero to her. She wrote brilliantly of her ordeal with the affliction in “Polio Boulevard” (2014) in which she confessed – for the first time in public — that she had suffered from polio and that, ironically, she learned of the Jonas Salk polio vaccine while being treated for polio in 1953. The publication of “FDR on his Houseboat” arrives at another turning point in American history. Can we find a parallel to our present day situation, in which nobody we know has elected a boorish cad of seemingly bottomless shallowness and poor impulse control to sit in Roosevelt’s chair and God only knows what will happen next? Beyond observing that Trump and Roosevelt are both New York sons of privilege and both are masters of the very latest communications medium, it bears remembering that Henry Cabot Lodge called the most consequential president of the 20th century “a well-meaning, nice young fellow… but light, without any important qualifications, who would very much like to be president.” Also, remember that Roosevelt was elected on a promise to cut federal spending (it’s true, you could look it up) and once in office created the Works Progress Administration and the modern welfare state, for which he was called “a traitor to his class.” When he appointed the notorious crook and rum runner Joseph P. Kennedy to be the first commissioner of the new Securities and Exchange Commission that was to regulate Wall Street after the crash, he said “set a thief to catch a thief.” None of this was predicted on Jaunary 20, 1933, when Roosevelt took the oath of office. As for Trump, he is a nasty man in many ways, but no one since Andrew Jackson has come to Washington owing anyone there less, and that cannot be an altogether bad thing. One of his little remarked campaign promises was a trillion dollar infrastructure program to put Americans back to work. Does that remind you of anyone? Time will tell which campaign promises Trump keeps and which he breaks, but he didn’t get elected by playing by the rules, little reason to think he’ll start now. He has the chance to be a transformative president like FDR, let’s see what he makes of it. 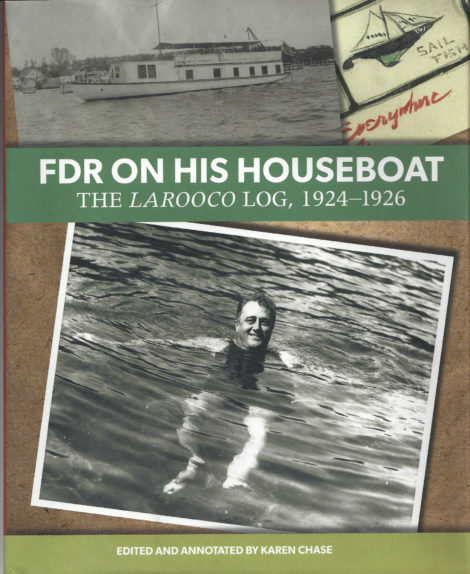 Karen Chase will be reading from “FDR on his Houseboat: The Larooco Log,” at The Bookstore in Lenox, Mass., on Sunday, December 11, at 3 p.m.